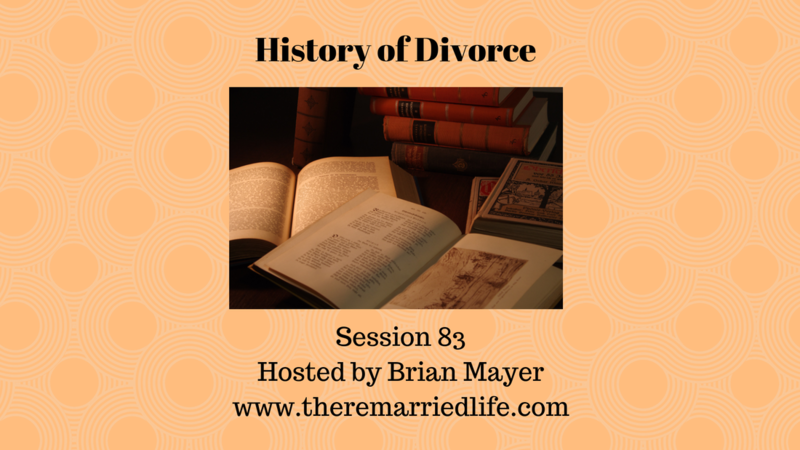 Divorce has been around for awhile and in fact the first recorded divorce in America occurred in 1643. The male was accused of abandoning his wife for another woman. He ultimately admitted this to be the case. Although it is unclear what happened, apparently he suffered some sort of punishment for what he did. If we think about England being one of the most dominant cultures in history they really did not have divorce before 1700. However in 1857, they instituted what they called the Matrimonial Causes Act and a special court was implemented to deal with divorce. Let’s fast forward a bit and talk about the change in divorce in the 20th Century (the 1900’s) especially in the United States. 1900s: You had to prove you significant other had done one of those three things we mentioned earlier in the Bible – adultery, abandonment, or abuse. 1910s: WWI was raging and while divorce was happening it was women who were blamed for this for the most part. The decade was the precursor to the 1920’s where women began to fully come out from the curtain so to speak to stand up for themselves. 1920s: This was probably the first so called sexual revolution in the U.S. where women began to assert themselves more and rather than again stand behind the man they began to speak out. Think about the right to vote they obtained during this time. Interestingly something called Trial Marriages were established at this time where couples could try out living together without getting married. 1930s: The Great Depression in the U.S. was happening at this time. This had a serious impact on both marriages and divorces as they both slowed due to the economic hardships that were created during this time. At this time one still had to prove that their spouse did something seriously wrong in order to be granted a divorce. 1940s: World War II was in full swing and men were away fighting the war while women cared for an entire household and in many cases went to work to support the war effort. Marriages increased before the start of the war, but divorce spiked after the war when the men came home and invariable life changed. While still having to prove a significant misdeed to obtain a divorce, the courts began to relax the standards. 1950s: The divorce rate declined during this time. Culture showed the happy All American family through shows like “Leave it to Beaver.” Family courts were established during this time which solely focused on matters like divorce rather than going through the regular courts. There was still an awful stain during this time as women were still found largely to blame for why marriages were not working. 1960s: This was the second sexual revolution in which divorce increased. Places around the country popped up to help people get divorces quickly especially if you did not want to go through proving one of the egregious issues like affairs, abandonment, or abuse. 1970s: No fault divorce laws came into existence. This opened the floodgates of divorce in America. This eliminated the necessity to file for divorce stating one of the big issues we mentioned earlier. Divorce was at an all-time high here whereas about 50% of marriage ended in divorce. 1980s: The No fault laws continued to be refined during this time. And in many states timeframes were implemented for separation before divorce. Also child support laws became more defined. 1990s: Mediation was the name of the game during this decade in which there was a push to seek amicable ends to marriage. Prenuptial type agreements especially those that spelled out the amicable divorce also became popular. 2000s: Something called the Collaborative Process took off here where the couple and their attorneys would all meet together to work together on an amicable dissolving of the marriage. The goal here was to avoid court. 2010s: Divorce rates and marriage rates are now declining in part by the millennial generation just not being as interested in marriage. Many of this generation say they don’t want the government involved nor feel like they need a piece of paper to show their love. Indeed times are changing and will continue to change. As we know the Bible does not change it’s stance, but culture sure does and as we have walked through this today we can see that it changes decade by decade and often year by year. If you are divorced and remarried hopefully today’s message was helpful to you to understand how much things have been loosened legally but that will still have an opportunity to make this next marriage the best it can be and to not give up on it unless we are abandoned or abused for sure.